Lupus is a chronic disorder affecting as many as 5 million people in the world. It is an autoimmune disease wherein the immune system starts attacking its own tissue as if it were to attack a pathogen. So lupus is not confined to a particular organ but the whole immune system affected which can cause systemic inflammation. That’s why individuals suffering from lupus need to constantly monitor themselves in case of flare up. Lupus is not contagious. Around 1.5 million Americans are affected by lupus and mostly women of childbearing age. There are different kinds of lupus, but we are talking about systemic lupus erythematosus or SLE. One of the most crucial problems with lupus is autoantibodies. Antibodies are produced by our immune system to attack infective agents primarily but when they are produced to attack our own tissue, due to some errors in immune function, they are known as autoantibodies. The most common type of autoantibody produced in lupus is an antinuclear antibody which attacks the nucleus (a cell organelle that stores genetic information) and destroys the cell. This can affect any organ during flare up. No exact cause of lupus has been identified but a combination of factors such as genetics, environmental factors, and lifestyle factors have been said to trigger lupus symptoms. If the inflammation spreads to specific organs then this can lead to complications such as endocarditis, pleuritis, vasculitis, nephritis, (inflammation of heart, lungs, blood vessel and kidney respectively) psychosis, seizures, oral ulcers, etc. Weakened immune function can increase the risk of infection. Treatment generally involves nonsteroidal anti-inflammatory drugs, steroids, and immunosuppressants. These are directed towards controlling inflammation and maintaining remission. Here are 12 ways by which turmeric could benefit from Systemic Erythematosus Lupus. Bright JJ, in his paper ‘Curcumin and autoimmune disease’ comments that curcumin ameliorates conditions like multiple sclerosis, rheumatoid arthritis, psoriasis, inflammatory bowel disease, etc. It does so by regulating the activity of inflammatory agents and pathways activated in immune cells. In their paper ‘Heat-solubilized curry spice curcumin inhibits antibody-antigen interaction in vitro studies: a possible therapy to alleviate autoimmune disorders’, Kurien et. al demonstrated that heat solubilized curcumin and turmeric attenuated binding of autoantibodies in serum samples of SLE patients by 52% and 70% respectively. Similar results were also proven in Sjogren’s syndrome. In other words, this experimental study shows that curcumin inhibits autoantibodies produced in lupus from binding to target cells and these findings, if proven in humans, pretty much solves the issue of ‘there is no cure for lupus. One interesting point the scientists mentioned that the main issue that hinders us from making the most of curcumin is its bioavailability issue. So what they did here was they boiled both curcumin and turmeric in water for 10 minutes before using it in the study. 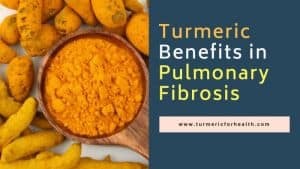 Also, this study found that turmeric resulted in better inhibition than purified curcumin and researchers stated that this could be possible because some curcuminoid is lost in the purification process. Just a stray but rather intriguing thought, it could also be possible that this could be a result of other compounds present in turmeric apart from curcumin. However, this study did have some limitations which warrant the need for more research in this direction. These findings need to be further confirmed in more animal models, but till then these results are enough to bind hope for curcumin’s therapeutic potential in SLE. Research shows that curcumin and turmeric inhibits binding of autoantibodies in serum samples obtained from SLE patients. Autoantibodies are the main factors causing damage and attacking organs in SLE and these findings suggest that curcumin may help attenuate severity of SLE. One of the major myth that stops people from using turmeric for lupus is that turmeric and curcumin are immune boosters so they should be avoided in lupus. It is true that turmeric boosts immunity. That’s the main reason why almost every Indian household consumes Turmeric milk or ‘Haldi doodh’. And even research recommends including turmeric as a part of nutrition to help in cancer-induced cachexia. In cancer, immunity is compromised and if turmeric can help with it, that means that turmeric has immune stimulating properties. 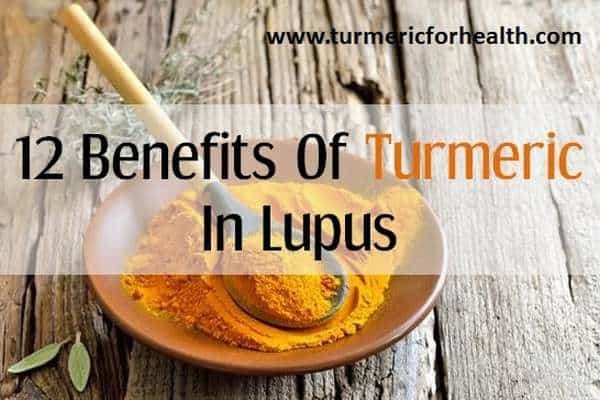 So people assume that in lupus one already has a hyperactive immune system whose responses are not regulated, so adding turmeric would fuel it even more. But that’s not what the studies mentioned in Benefit No 1, show right?! So what’s the paradox? If you have been a good follower of this blog, then this should take you back to Reason No 5 in 20 Reasons Why Turmeric Is An All-In-One Herb. Turmeric and curcumin are immunomodulating agents- they regulate immune responses. ‘”Spicing up” of the immune system by curcumin’ co-authored by Jagetia GC and Dr. Bharat Aggarwal throws some more light on this point. Curcumin as an immunomodulatory agent regulates the activity of various immune cells like T cells, B cells, macrophages, neutrophils, natural killer cells, and dendritic cells. It also reduces the production of inflammatory cytokines. Further, they comment that at low doses curcumin can stimulate immune responses and help in fighting infections by producing antibodies. South et. al in 1997 proved that dietary curcumin enhances antibody response in rats. 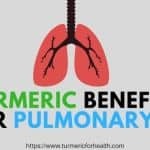 In case you are already convinced that turmeric will benefit you in lupus and you are wondering whether what dose you should take, then don’t worry the subsequent dosage section towards the end of the article will help you. Srivastava et.al comment that this immune modulating property has been found to be useful in many inflammatory and metabolic diseases. Excuse me for the technical jargon, but what they are trying to say here is that curcumin regulates the activity of WBCs and interacting biochemical pathways to achieve the desired immune response in that particular disease and this immune status could be boosting or suppressing. So you don’t have to worry much about curcumin and turmeric being an immune booster. Curcumin is a unique pleiotropic molecule- one molecule that interacts with multiple enzymes, pathways, and molecular targets. 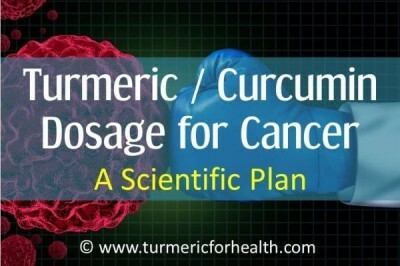 Curcumin and turmeric are immunomodulatory agents- they regulate immune responses. Dose dependently they may stimulate immune response as defence against infection and regulate inappropriate immune responses in case of autoimmune diseases such as lupus. So you can safely say good bye to the myth that turmeric is an immune booster and hence you can not take it to treat lupus or any autoimmune disease for that matter. A very recent concept that is being researched in the field of SLE is the balance between T helper cell 17 (Th17) and regulatory T cells. I won’t get much into the details but these are the type of immune cells and there is an imbalance in their populations in SLE. If this balance can be achieved, then the body would start regulating immune responses and attenuate autoimmune reactions. Currently, there is no drug that can help achieve this. As I discussed previously, curcumin has immunomodulatory responses: it can stimulate as well as suppress immune function depending on the dose and function. A study published in Central European Journal Of Immunology, 2015 examined whether this immunomodulatory property of curcumin can actually help in achieving balance in immune cell populations in SLE. And guess what!? It actually did do that! That too at low doses! All newly diagnosed SLE patients were included in this study with a disease duration of 8-12 months. 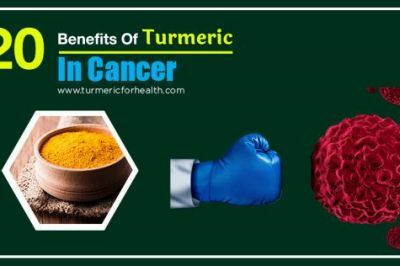 Their blood samples were collected and their T cells (the type of immune system cells) were collected, cultured and treated with low doses of curcumin. The same thing was done with blood samples of healthy individuals. It was found that curcumin reduced the numbers of Th17 and increased the levels of Treg cells, thereby helping regulate immune responses. And curcumin did not reproduce these effects in T cells from healthy individuals. Handono et. al commented that curcumin can be used as a novel therapeutic agent for SLE by alleviating immune response and balancing Th17 and Treg cell population. Now, this is the first study to demonstrate this mechanism of action of curcumin in SLE and there should be more study to identify the details as in the pathway involved. Curcumin is proven to balance the population of immune cells in samples taken from SLE patients. And these findings suggest that it can help in regulating immune responses and thereby prevent progression of SLE. 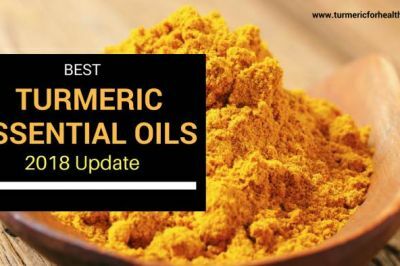 One of the major medicinal properties of turmeric due to which it has received so much attention in terms of research as well as for therapeutic purposes is its anti-inflammatory action. Inflammation is a result as well as a trigger of incorrect immune responses in lupus. Since the immune system can’t differentiate between foreign bodies and host tissue, a number of functions are hampered such as high rate of cell death, reduced clearance of such dead cells from the body, etc. Accumulation of such damaged cells creates an environment favorable for inflammation and production of autoantibodies. Curcumin, as well as curcumin free turmeric, has anti-inflammatory properties. Unlike regular non-steroidal anti-inflammatory drugs which inhibit only COX enzyme, curcumin inhibits both COX and LOX, two important enzymes that participate in inflammation. It also acts on other inflammatory agents like prostaglandins, interleukins, etc. and even inhibits activity major molecular targets in inflammation like tumor necrosis factor-alpha and nuclear factor kappa B. These properties combined with curcumin’s immunomodulatory properties can help control and prevent the spread of inflammation to other organs in lupus. Edge curcumin and turmeric have over other NSAIDs is that they do not cause side effects like gastric erosion. Turmeric’s anti-inflammatory property can help in controlling as well as preventing spread of inflammation to other organs in lupus. 70-80% of the individuals suffering from lupus present with skin lesions or rashes. These can be painful, itchy and photosensitive. Topical immunomodulators or steroids are prescribed to treat such rashes. 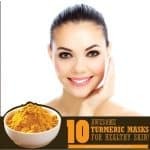 Turmeric is traditionally used to treat skin diseases including inflammation and research suggests that curcumin can be a novel treatment in skin disorders. In fact, curcumin is also identified as a topical immunomodulator. Curcumin is found to be as effective as steroids or immunomodulators in autoimmune skin conditions like psoriasis. 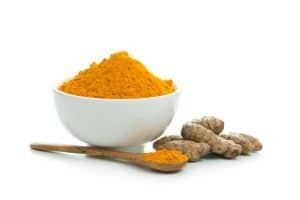 Tacrolimus is a common topical steroid prescribed for lupus and psoriasis; studies show that curcumin may have a synergistic action with tacrolimus. More studies should be focused on the aspect of using curcumin and turmeric as topical agents in skin-related symptoms of lupus. Curcumin’s anti-inflammatory, immunomodulatory and skin protective properties make it a potential therapeutic compound for skin related symptoms of lupus. Arthritis in lupus is a very common symptom and can affect any joint including hands, knee, hip and cause pain and disability. Turmeric is a very popular alternative treatment for arthritis. 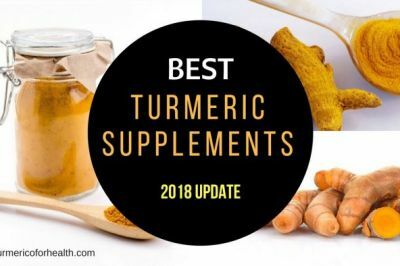 (Read Turmeric for arthritis) Apart from its anti-inflammatory and painkilling properties, it has a unique ‘chemopreventive action’ in rheumatoid arthritis. The damaged cells in arthritis are resistant to cell death and thereby provoke inflammation. Curcumin kills such cells and prevents progression of the disease. It also has anti-arthritic properties, prevents bone loss, affects genetic expressions of proteins involved in arthritis and also protects from side effects of medications taken in arthritis. These properties make turmeric a viable therapeutic aid in attenuating arthritis symptoms in lupus. Curcumin and turmeric have a number of pharmacological properties that make it a safe anti-arthritic agent. Curcumin works as a natural painkiller- it attenuates various kinds of pain. (Read Turmeric for various kinds of Pain) Curcumin’s analgesic or pain killing effect has been proven in an experimental model of postoperative pain. 2g of Meriva (400 mg curcumin) is found to have analgesic activity comparable to 1g of paracetamol and it has lesser side effects than painkillers like nimesulide and paracetamol. Curcumin has synergistic activity with painkiller like diclofenac. Curcumin derivatives are found to have better analgesic activity than aspirin. In the treatment of osteoarthritis, curcumin is found to be as effective as painkiller ibuprofen and also has reduced side effects on the stomach. 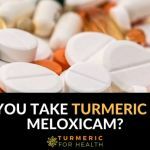 Curcumin found in turmeric is proven to have natural pain killing properties and in many studies it has been proven to outperform conventional painkillers. Also it does not cause any side effects like gastric erosion like NSAIDs. Systemic inflammation, joint pain, blood, and bone-related abnormalities contribute to negative effects on health in lupus thus paving the way for fatigue and sleep disturbances. Turmeric’s anti-inflammatory and analgesic action help reduce pain in arthritis. Additionally, animal studies show that by virtue of its anti-inflammatory and antioxidant activity curcumin reduces chronic fatigue. Curcumin may even protect from side effects of sleep deprivation and reduce sleep disturbances. In addition to relieving symptoms of lupus, turmeric may also help in alleviating chronic fatigue in lupus. The link between SLE and depression is controversial. Some state that as a result of disease activity as well as treatment outcomes, depression is an outcome of the disease and there is no need for psychiatric help while some state that only treating the disease will not treat depression. 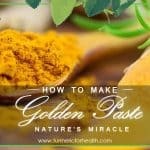 Many readers who have taken Golden Paste, be it for its health benefits or to treat a particular condition, have reported one unexpected change in their health. They report waking up fresher, lighter and having a clearer thought process. Studies show that curcumin is as good as Prozac when it comes to serving as an anti-depressant and many researchers agree that it can be an adjuvant therapy in depression. Its ability to modulate neurotransmitters as well as its anti-inflammatory action, contribute to its therapeutic action in depression and anxiety. Lupus fog is a term used to describe a state of confusion occurring as a symptom in lupus. If suffering from such symptoms it is best to consult a doctor about it. Curcumin will help regulate immune responses, reduce pain and inflammation in lupus and thereby contribute to better health but interesting enough it can also specifically alleviate depressive symptoms occuring in lupus. Lee et. al demonstrated that curcumin treats lupus nephritis by interacting with T reg cells. In this animal study, it was observed that curcumin reduced proteinuria (excess of proteins in urine occurring as a result of damaged kidney function) and reduced inflammation in the kidney. A very popular study highlighted when talking about turmeric’s utility in lupus is ‘Oral supplementation of turmeric decreases proteinuria, hematuria, and systolic blood pressure in patients suffering from relapsing or refractory lupus nephritis: a randomized and placebo-controlled study’. In this study, 24 individuals with relapsing or treatment-resistant lupus nephritis were enrolled. 12 were treated with 500mg turmeric (22.1mg curcumin) thrice a day while 12 were treated with placebo. A significant decrease in proteinuria (excess protein in the urine) was seen and reduction in blood in urine and systolic blood pressure (minimum blood pressure your heart experiences when filling with blood) was observed. Researchers stated that short term turmeric supplementation can attenuate symptoms of lupus nephritis and aid as safe adjuvant therapy. 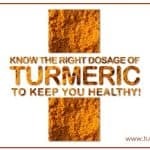 Whole turmeric powder supplementation can reduce kidney damage in lupus nephritis. Lupus, as mentioned previously, could manifest as a result of genetic errors and one such genetic error is DNA methylation. For simplicity sake, I would say that DNA methylation is a process that controls gene expression or activates your gene and error in that mechanism results in abnormalities. Curcumin is found to have the ability to regulate such epigenetic processes. It can regulate the activity of enzymes involved in gene expression. Though not assessed in relation with lupus, this property of curcumin is found to be beneficial in cancer, neurodegenerative and inflammatory disorders. Further research can throw some light on the ability of curcumin to alter genetic expressions and thus alleviate severity of disease in lupus. Cyclophosphamide is a drug prescribed in lupus to reduce the activity of the immune system. Curcumin can protect from side effects of cyclophosphamide such as damage to the reproductive system and urinary system, DNA mutation, lung injury, etc. Methrotexate is another immune-suppressing drug prescribed in lupus and arthritis. Research shows that curcumin can protect from side effects of methotrexate that affect heart, kidney, intestine, and liver. Curcumin exerts a protective effect on almost all systems in the body and thereby can help reduce the side effects and toxicity posed by medications prescribed in lupus. Could curcumin worsen CNS lupus? CNS lupus is when lupus starts affecting the central nervous system and individuals facing this experience confusion, fatigue, inability to concentrate or express themselves. Worsening of symptoms leads to seizures, strokes and memory loss. Even medications used to treat lupus can present with such side effects so an appropriate diagnosis is required. Foxley et al. conducted an animal study to assess the effect of curcumin in experimental CNS lupus. The hypothesis was that curcumin is an anti-inflammatory agent and hence will be protective in CNS lupus. Contrary to their expectations curcumin worsened the symptoms of CNS lupus. It led to a decrease in brain size and an increase in accumulation of immune complexes in the brain. Researchers concluded that till a safe dose range is established and further human studies are conducted caution should be exercised before using curcumin as adjuvant therapy in CNS lupus. This study mentions that curcumin treatment led to an increase of aquaporin 4 (ion channel). Interestingly many other animal models assessing the effect of curcumin on brain damage show that curcumin inhibits the expression of aquaporin4 and thereby reduces damage and initiates repair. The dose of curcumin used was higher. Further, the curcumin and CNS lupus study reported that deposition of immune complexes in the brain increased even after curcumin treatment. Since this has been the only study focused on curcumin and CNS lupus and researchers comment on the need to conduct further studies and ascertain an appropriate dose, I can’t comment much on this. In any case, it is best to consult a doctor for diagnosing CNS lupus. 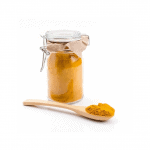 Here a couple of Frequently Asked Questions regarding turmeric’s therapeutic efficacy in lupus. 1. Will turmeric help reduce pain in lupus? Yes, turmeric works as a natural painkiller and can help reduce pain, aches, malaise as well as arthritic symptoms occurring in lupus. 2. Does turmeric boost the immune system in lupus? Curcumin found in turmeric are immunomodulatory agents and help ‘regulate’ immune responses in lupus rather than ‘stimulating’ them. 3. 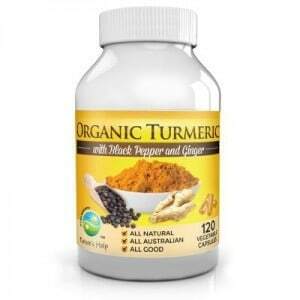 Does turmeric help in SLE or only lupus nephritis? Turmeric benefits in lupus nephritis as well as Systemic Lupus Erythematosus. 4. Have there been any clinical trials on turmeric/curcumin and lupus? There has been only one clinical trial that demonstrates positive results of turmeric in lupus nephritis. More clinical trials are required on this matter but studies showing therapeutic potential of curcumin in lupus have been conducted on blood samples of patients suffering from lupus. 5. 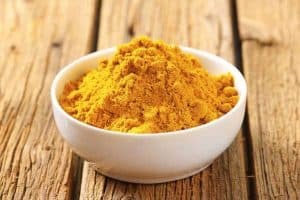 Should I take turmeric or curcumin for lupus? Till date, most of the research points out curcumin’s beneficial properties in lupus. But some studies show that turmeric inhibits the activity of autoantibodies in lupus and benefits in lupus nephritis. Since turmeric has more than curcumin we recommend turmeric for lupus. 6. 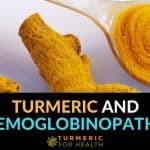 How do I take turmeric for lupus? The best way to take turmeric is to incorporate it into diet. Please refer to the dosage section for more details. 7. Is it necessary to take black pepper and/or oil with turmeric? 8. 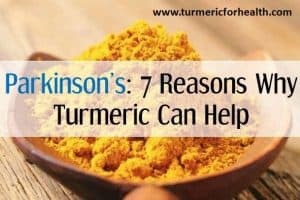 How long does it take for turmeric to benefit or act in lupus? This depends on the dose and the form of turmeric you are taking. If you are taking Golden Paste at recommended dosage then the reduction in pain should be seen as early as 7 days. Benefits would be evidenced by a reduction in pain, rashes, fatigue, etc. 1 month should be an ideal time span to see clear benefits. 9. 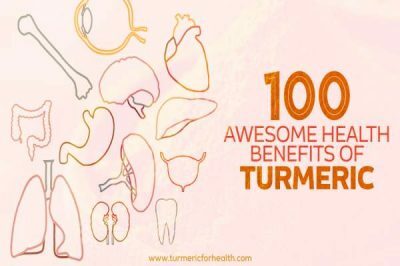 I have taken turmeric for a month but I still see no benefits. What should I do? • Up the dose, if it suits you. 10. What other spices or herbs can be taken with turmeric for lupus? 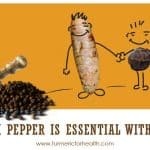 There has been no study indicating what herbs or spices could have a synergistic action with turmeric. Dietary supplements like omega 3, vitamin D, NAC have been proven to be useful. It is best to consult a herbalist or naturopath for the same. 11. Does Turmeric tea help as an anti-inflammatory drink in lupus? Theoretically, turmeric tea should benefit from inflammation, but this answer would be confirmed by personal usage. We recommend 1-2 cups a day. 12. Can I apply turmeric topically for lupus rash? 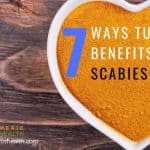 Turmeric has proven to be beneficial in eczema and another rash like skin conditions. See Benefit No 4. You can apply turmeric topically for the rash but do conduct a patch test prior. Read How to apply turmeric topically below. 13. I plan to take curcumin supplements for lupus, what is the dose? The dose for curcumin supplements depends on the formulation. It is best to consult a doctor for the dosage and recommendation about formulation. 14. Should turmeric be avoided in gout? Turmeric in a small amount can be included in diet even when suffering from gout but should be avoided in therapeutic doses. Turmeric contains oxalates and this could add to your dietary oxalate load. Curcumin supplements are advised in case of gout. 15. Should turmeric be avoided in case of kidney stones? If you are at high risk of developing kidney stones, turmeric consumption should be limited due to its oxalate content. 16. I suffer from a bleeding/clotting disorder, can I take turmeric? Turmeric in small amounts can be included in diet but turmeric supplements should be avoided in case of a bleeding/clotting disorder. It is best to take a doctor’s advice on taking turmeric in such a condition. 17. Are there any side effects or precautions associated with turmeric? Turmeric in the diet is safe. Please refer to the Precautions section below. Turmeric in dietary amounts is safe. However, if you are opting for a therapeutic dose or if you don’t include it in cooking then you must take turmeric with black pepper and/or fats to take care of its absorption. The Golden Paste recipe takes care of this. Start with 1/8-1/4 tsp a day and gradually increase by ¼ tsp every week if you see no side effects. The recommended dose is 1-2 tsp 2-3 times a day. However, your ideal dose can be different. Some people do with a smaller dose say ½ tsp thrice a day while some take 1-2 tablespoon thrice a day. The ideal dose is one where you do not experience side effects like gastric symptoms but reap health benefits like reduction in pain. Here are some easy ways of taking Golden Paste. 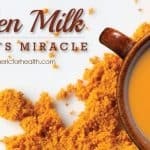 Turmeric Tea and Turmeric milk are also some delicious ways of taking turmeric. If you need help identifying good brands of turmeric please check this. How to apply turmeric topically for lupus? Turmeric can be applied topically to affected joint to relieve arthritic pain or to the skin rash occurring in lupus. Please conduct a patch test prior. Apply this paste to the affected area. Cover this with gauze and let it be for as long as possible say 30 mins to an hour in case of joint pain. If it is a skin rash apply this paste well to the affected skin and leave for 10 minutes or till dry. Cleanse with cool water. Turmeric in dietary amount does not pose any risk. Doses up to 8g have found to be safe but high doses can cause gastric side effects in real life. Turmeric supplements should be opted for only after consulting a doctor. In conditions like gout or if you are at high risk of developing kidney stones it is advisable to opt for curcumin supplements because turmeric is moderately high in oxalates. When on blood thinners, it is safe to occasionally introduce turmeric in the diet but do not use curcumin supplements. In such a condition it is best to discuss this with your doctor. Turmeric has two fantastic properties when it comes to dealing with lupus: immunomodulatory and anti-inflammatory. It can regulate immune responses, curb inflammation, treat pain and thereby prevent a flare up. The current studies reveal some uniquely interesting mechanism of action of turmeric pertaining to lupus and further studies may help researchers develop turmeric as a potential agent that can perpetuate and maintain lupus remission. If you have tried turmeric for lupus, do share your experience with us and fellow readers. I recently tried Qunol liquid turmeric available at Costco. The effect was magic, in short a few days, joint pains, fatigue, swelling from Sjorgrens and/or lupus have all been reduced dramatically. Now three weeks have passed, I am feeling stronger daily and almost feel fully recovered and healthy again. I am praying the effect will continue for many years. I recommend anyone with Sjorgrens/lupus to try this supplement! My consultant said my SLE lupus could have resulted in my case from myocarditis which I had in my forties. I think Wakaya has the best.I take it all the time. My doc recommends ibuprofen to reduce the swelling! Is there something else I could take? Many different forms of Lupus exist, LSE is medically induced form of Lupus. If you do the research you will find this is true. Many other forms are from your gene pool as some forms of Lupus just develop. You should mix your turmeric with a teaspoon of pepper to make it more effective. Lupus is not contracted btw… It is genetic. Seeing the ‘contracted’ bit annoyed me too. Actually Lupus can be acquired by taking ibuprofen … I learned this from my specialist. I liked reading about the chemical breakdown of turmeric. I have not seen this anywhere else. 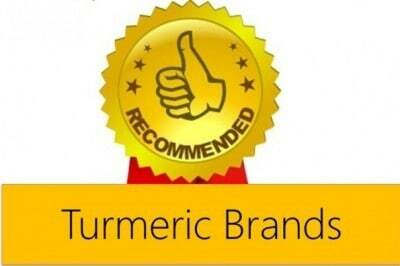 Enagic USA has the best Turmeric on the planet. 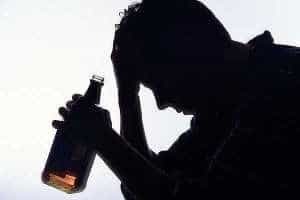 I just found out that a friend of mine was diagnosed with Lupus. Going to give her some. – Marc in LA…..